The cornerstone of any prosperous and successful democracy is its educational institutions. As technology continues its trend of exponential growth in processing power in relation to cost and size we see trends of integration in all aspects of youth life that becomes more ingrained every passing year. Yet paradoxically much of our education still focuses on the dogmatic memorization and regurgitation of facts; despite the fact the majority of U.S. adults and at least 75% of children today have access to a smart phone or tablet. With so many individuals carrying the collective world’s knowledge in their pocket does memorization of dates, times, places, formulas, and people still hold value in modern society? In this article I will argue for a different approach to educating our youth; focusing specifically on the philosophical concepts we should take into account such as how they are learning and the why are they learning over the specific methodologies and implementation over which they are learning. My intention is to create dialogue about the truth of our reality and why we should be imagining what it will mean for the children of today. I’ll begin with a question; when was the last time you wanted to know piece a of information and were unable to find it via an internet search? What would the answer be when expressed as a percentage of total queries over a given week? Compare how many times you have Googled something and successfully found an answer with the amount of times you were unsuccessful. My argument is built upon the premise that for the vast majority of you reading the percentage is a low single digit number. Information is plentiful and instantly accessible for over 2.6 billion people on the planet today; it fits in our pockets and has become fully integrated into our daily lives. In my brief 33 years of existence this was not always the case; as a Millennial my journey into the World Wide Web began at age 11 with America Online, chat rooms, instant messaging, and a loud dial-up modem that would disconnect every time my father picked up the phone. In 22 years since I first logged onto America Online the U.S. has seen adoption of the World Wide Web increase from 14% of U.S. households to 87%, placing this means of information gathering and communication from an outlier to a necessary part of life in less than a single generation’s time. The Millennial generation (defined as 35 years or younger) are the first true children of the internet and represent a fundamental shift in the collective consciousness of humanity. But, that leaves us no more prepared than anyone else to comprehend the reality and paradigms that children born into today’s world of instant access and hyper saturation of information will experience 22 years from now. The truth of reality as we know it is that barring any catastrophic event (self inflicted or otherwise) the permeation of information and access has become inextricably linked to human existence and consciousness within the United States. If we accept the above conclusion as true then we can apply that paradigm in reflections of modern society. In the past education was designed to encourage individuals to become productive members of society. This was done through a hierarchical and authoritative structure; children were meant to accept and learn the information presented and were ranked accordingly to performance. This competitive model of education would be reinforced for twelve years until finally the students would then be segregated into separate institutions or trades depending on their aptitude. This concept of competitive education contributes to the American culture of individuality and a reinforcement of a particular set of beliefs in regards to how we view the “others” that surround us. The competitive educational methodology worked well for some time; both for those pursuing higher education and for others who would enter professional trades, but then it stopped working so well. Unforeseen forces that have contributed for our sudden shift in reality can be attributed to continuously reoccurring financial crises, the automation of workforces, and the shift to more renewable sources of energy; just to name a few. Theses crises can be linked directly to the failures that are becoming exposed in our current narrative of going to school, working a lifetime career, and then retiring. At the same time recent graduates who went to private colleges and amassed significant student debt were left unemployed/underemployed for years. America is awakening to the fact that the world is changing and the concept of job security no longer exists in the same context as it had previously. America’s crises was and still is deeper than just economics, it was existential. How does a person cope when the reality they have built for themselves on the foundation of American individualism, reinforced since childhood through our educational institutions, no longer can be relied upon? When your education prepared you to specialize in a specific task and focus on perfecting that task rather than experimenting or innovating what does a person do when their experience is no longer relevant? These questions strike the core of the concept of re-imagining American education because there seems to be no solution in sight; in fact in observing current trends one could conclude that with technology’s ever expanding growth more disruption and displacement is a certainty. A certainty that is gaining momentum every year as the growth of our technology and the rate of growth of our technology grows exponentially each year. We must as a collective accept the truth; the educational institutions and paradigms of yesterday do not apply to the children of today. Only with complete acceptance of our reality can we better prepare the children of the present for the futures of tomorrow. When most children within the United States have access to the world’s information at age four how do we begin to conceptualize the correct way to educate them? Predicting the job market 20 years from now is an exercise in futility; the technological advances we will experience over the next 20 years will make today seem like 100 years ago. Perhaps then the focus of specialization and memorization should be put aside, for what good is memorizing a wide but shallow array of facts when any of that information is accessible at an instant through typing, or now talking, to your devices? What good is specialization when technology reinvents entire industries every year? I am not arguing against the specialization of sciences, math, coding, engineering, etc. rather the specialization of tasks. If we are to view education as preparation for the future we must first start by envisioning what type of foundation we will lay today for the children of tomorrow. The field of robotics is going to fundamentally change labor as we know it across the globe, eliminating millions of jobs in the process. I argue that this is a great thing for our collective human experience and we should understand this inevitability and conceptualize an education program that works within this paradigm of existence. Roberto Unger speaks often and at length about how any task that can be repeated can be made into a formula, and any formula can be programmed into a machine to automation the completion of that task. Human capital is by far our greatest resource, yet the current capitalist system and our laws regarding property and contract create a system that severely limits the potential for innovation and experimentation for the impoverished sections of our population. No human should be forced to do a job that a machine can do to earn a living. Automation has the real potential to improve collective human life and therefore will continue to be researched, developed, and improved. Understanding this gives us perspective on teaching focused on memorization and regurgitation. We must move away from an authoritative directing of information and individualistic competitive education and move towards embracing a more collaborative and dialectical system with focuses on analytics and observation that better reflects our deepening global inter connectivity. Only through acceptance of our current trajectory can we begin to imagine the real possibilities of the future of today’s children. So how do we envision a system of education that is dialectical in nature, teaches analytical and observation skills, and focuses on collaborative efforts rather than competitive? Teaching dialogue and encouraging free thought could be brought about by teaching certain subjects from two alternative perspectives and then fostering discussion about the two. In the scenario I present we will use History as an example so that we may paint a clear picture of how and why this would be beneficial. History is often taught from the perspective of the nation teaching it; the U.S. is no exception. Of course this does not mean there are not great and innovative teachers found throughout the U.S., rather that the very way we are taught to teach history should be revised. A specific example is the heavy focus on European colonial efforts in the Americas and the clear absence of in-depth conversation regarding the native cultures that existed prior to European entry. This is a scenario where selective depth could be implemented; instead of focusing on a wide array of historical events we could dive deep into the history of the colonization of the Americas taught from both perspectives; that of the colonizers and that of the natives. 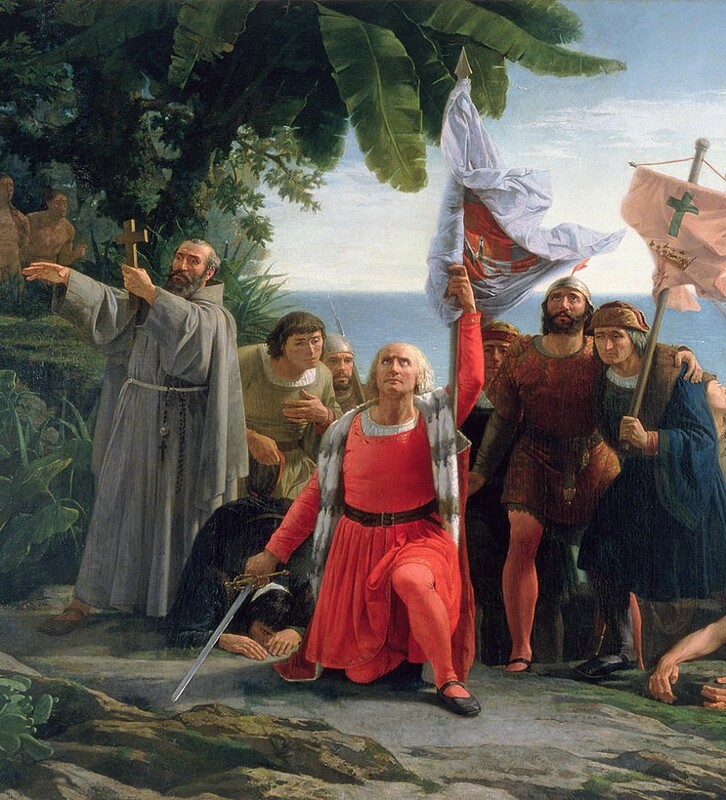 Christopher Columbus is a great example of a Euro-Centric teaching that is not taught from two perspectives. Each class would then have time dedicated for dialogue; exploring concepts and questions from both sides of the perspective, even challenging the students with questions that may not have a correct answer. The students would then conduct dialogue among themselves with the educator facilitating and helping move the discussion. In the described scenario we have now introduced agency into the process; this changes authoritative or unidirectional teaching methods into an intimate connection with the learning. We reinforce the power and benefit of learning how to communicate clearly, openly, and factual in the search of a common understanding of the truth. This method connects the individual with the process of learning through exploration of ideas and concepts in a collaborative manor with their peers. Collaboration and dialogue are a necessity of the future; as technology brings us closer together learning how to have dialogue from the perspective of exploring an idea rather than having the right answer memorized will be a critical skill that will enable collaborative productive projects to innovate and excel. Memorization of a wide breadth of shallow facts will not be needed as the ancillary information will be available to anyone, anywhere. Future specialization and professional will be a matter of individual occupations like we are witnessing today with the constant expansion and innovation of the gig economy and collaborative projects similar to corporations of today but established much more equitably to all participants. I make these predictions based on the assumption that politically we will adapt to the coming information, automation, and innovation abundance with a unified effort to elevate humanity; a far reach from today’s hyper concentration of the capital means to production and resources. One of the key failures of the hierarchical systems of education is the constant reinforcement of two-dimensional success and failure. Humans are dynamic by nature and the concept of failure as a zero-sum game is simply not true. Failure should be viewed as one of many experiences that are required to accomplish a purpose, specifically an experience that you reflect upon and analyze what went wrong. Upon completion of your analysis you form a new hypothesis and try again, repeating the process until your ultimate goal is achieved. By reinforcing a competitive education structure we create a psychological system of class that will follow many individuals throughout their entire lives. Of course there are external variables outside of the classroom that have a tremendous impact on an individual’s self conceptualization but that factor should not influence our re-imagining of better ways to create functional human beings. Critics may argue that this program is similar to the “everyone gets a trophy” mindset of some modern parents, but that argument has no merit. Collaborative education would better reinforce and identify strengths of the individual instead of focusing on weaknesses. Analytical skills should also be at the forefront of modern education. We need look no further than modern U.S. adult society to make clear observations about the power of misinformation and its effect on a populace. In a recent Stanford study it was concluded that children’s ability to discern true information from false information was “bleak” and “dismaying”. Our reality is one of information saturation and knowing how to discern the difference between the real and the fake. Teaching our youth to “seek truth” through the use of technology from a young age is one way to address this issue. Again, dogmatic memorization serves no place in modern society. Instead we should shift that focus onto the practice of determining whether or not the information you are receiving is valid through both the exploration of understanding where the information is coming from and the quality of the content provided. This could be accomplished by having blocked amounts of time where students are required to research information independently using the internet to answer a question and then transition into an open dialogue about the results found. Analyzing the results openly in a step-by-step methodology that reinforces how to think about information would build foundational skills necessary for both today and the future. A society that lacks proper analytical skills is a society destined to be ruled by moneyed masters; it is no secret that those with access to capital have the largest reach in relation to being heard through advertisements and influence. Our children will never be able to transcend and reach their full potential if they are not prepared with the skills to analyze content in the information age. Learning how to be observant is an often overlooked skill that is necessary to live both a fulfilling and innovative life. There is a clear understanding of how learning occurs in the brain through the development of neural pathways being formed from repetitive experiences and observations. Armed with this knowledge we should put significant focus on raising individuals with the ability to observe both introspectively and externally. Introspective observation can be achieved by introducing the practice of meditation at a young age and reinforcing it through the primary education process. The scientific evidence supporting the benefits of meditation demonstrates compelling reasons for any individual to partake in the practice as well as tangible benefits to young students who practice it in school environments instead of detention. The ability to look within your own paradigm for both questions and answers is an often overlooked but vital skill in finding meaning in a life that at time can seem groundless. External observation can be defined as the ability to be present in the moment. In an environment of constant technological shift and progress the ability to observe scenarios and ideate concepts of improvements is a critical skill. Innovation in all verticals requires the ability to observe what is and imagine what could be; in a future with unlimited access to our global collective knowledge this type of ingenuity is the type of profession we should be preparing our children for. Improving external observational skills in the classroom can be addressed through the combination of multiple techniques previously discussed such as meditation, dialectic discussion, and the analytical skills necessary to digest the information all contribute to a more observant individual. Implementation of the suggested practices into our youths’ education is the first step and most important step into redefining the world we live in. Already we are seeing the precursors to the argued philosophical change in education in practice in small pockets of the education world. Unfortunately the feedback I have received personally from teachers is that the modern bureaucracy limits the exploration of these programs both in terms of funding and realistic timelines for implementation. Perhaps with more support from the collective populace as well as the educators themselves this type of fundamental shift could be accelerated or, at the very least, explored in a practical sense. Growing support could result in political action which in turn could help to support these types of programs both in funding and innovation. The suggestions outlined may seem distant when compared to our current educational structure but are nonetheless an accurate reflection on the necessity to shift our institutions to keep pace with the speed of the technology we are creating and the reality that we occupy. Only through additional dialogue and experimentation can we begin to build a future that aligns with the trajectory of the present. One thing is certain; the skills of task specialization and educating for the purpose of employment are no longer suited for our modern reality. Failure to adapt would be a conscious decision of the leaders, educators, and parents of today to under prepare the citizens of tomorrow.